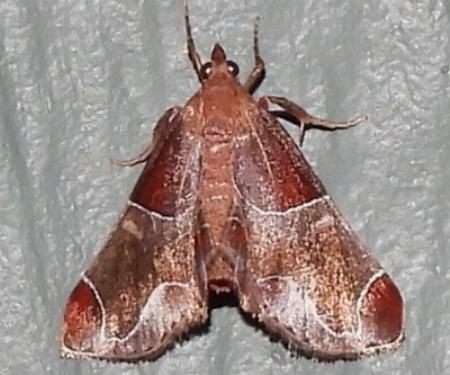 This moth is brown with areas at the apex, tornus, and base outlined in white on each wing. The wingspan is about 3 cms. Volume 49 (1925), pp. 44-45.